What is Affilorama? Is it a scam? Is Affilorama something that will give me the best value? I have tested Affilorama and will provide you with a full review of every product Affilorama has to offer in 2018. Membership site for Affiliate Marketers. This is the basic membership where you receive free content and you are able to test out the site and free membership to AffiloTools. For free you get access to a ridiculous amount of content, some tools and access to the community. I recommend everyone to join the free membership and test it out. What is the Affilorama Membership? Is it really free? Is Affilorama free membership only for beginners? Does Affilorama membership have some complaints? Who is Pathway to Passive Resources for? Do I have some complaints about Pathway to Passive Resources? Do I receive some sort of support? Do I receive some bonuses? Start your path to online income today! If you are new to affiliate marketing, Affilorama is a membership site with everything you need to start your path to online income. They offer you everything you need to be a successful entrepreneur. When you have reached your first goal, Affilorama has something for those who want to expand their business above their first goal. Some of it is free, some of it you need to pay for. You can join Affilorama and become a member. Then you will learn to use the platform and how to navigate. You can browse around and become familiar with the product. What more do they have to offer? The basic membership is limited, and you need to upgrade the membership to get access to more training, courses and tools. I will now explain the different parts of the site to help you out. A complex membership site can be a bit confusing, but they have made it easier lately. Affilorama gives you a lot for free, and with a bit of help from youtube, you will be able to start your path to online income for free. For some people this is enough, other like a proven system from an experienced affiliate marketer like Mark Ling. I will now explain everything you receive in this free membership. Affilorama has more than 120 free training lessons in most of the topics you need to know. In the modules, they have several lessons related to the module with both video and text. First time I go through a course I like to watch the video. Afterward, I'm pleased with the transcript so if I need to go back to a previous lesson, I can skim through the text to get what I need to learn. Both the video and text is structured with an introduction to the video, the content with subtopics and a summary at the end. Easy to follow and easy to read. Most of the lessons are also not very long so you can pick and choose precisely what you want to know. Suitable for intermediate users or beginners that have watched all the videos once and need to go back to the refresh their knowledge a bit. What I also like is that your progress is saved. So you later know what you have not done so you can keep a record. This way you can keep track of your progress. You need to click "completed" when you have completed the lesson manually, and you have a progress bar for that module. A nice to have function. This is a free lesson that will give you the information you need to make an affiliate website from scratch. You will also learn methods to be able to gain traffic so you can make money from your site. Affilorama has now 630 000 members, and they all have access to the forum. Not everyone is active, but you will receive right answers to your questions. Some of the main topics are about Affilorama and their services, but most of it is there to help you. The market research topic has now 1753 subtopics with 11101 posts, do you think it's something where you can learn from? With lots of topics, it can be hard to find things. Affilorama forum has inside each topic, top 5 most viewed and top 5 most commented subtopics. They also have a search function that will help you find what you look for. With the free membership, you get access to their AffiloTools. There you can add one website. You can test every tool, but you will be limited. You can read more about AffiloTools later in this review. I have written much about Affilorama will have the information you need to build an affiliate website. The lessons about how affiliate marketing works are also great for beginners. Intermediate users probably don't want and don't need to do those lessons. So what is in for them? As written above they have lesions also in PPC, SEO and outsourcing that is more advanced. So the lessons are also for intermediate users. The lessons are short, so you can pick and choose what you want to learn more about. No need to watch 20min with video before you finally see the topic you want to know more about. You also have the transcript so you can skim through if you are not sure if this lesson is for you or not. Affilorama is free and it has some downsides. Instead of recommending to install WordPress, they advise you to do it the old way with software. This is maybe an ok method, but not beginner friendly. So some of their lesions are outdated. The problem with old lessons is you don't know what is obsolete as a beginner. Some of it is marked as outdated, but not everything. The forum could also be more active. Since some of the lesions are outdated, the activity on the forums has also decreased. They have done a lot of changes lately and removed the premium membership they had before. The premium membership is now Pathway to Passive Resources that is a one-time payment and not a membership. Since the membership is free, they want to give you upsells. Upsells is perfectly fine and is a recommended method to earn more money. The downside is if the low entry product is not updated and you need the upsells to get the information you need. Since the free content is a bit outdated, I recommend you to buy the paid products to get all the information you need. You can read more about it at the end of this article. Affilorama membership is free, and you receive a lot of valuable training for both beginners and intermediate affiliate marketers. You also gain access to a community where you can interact with others. More than 120 free training videos with a transcript. Access to Affilorama forum.A prominent and active community. Free membership to their AffiloTools where you can add one project. Some of their lesions are outdated. The forum could be more active, but you will receive answers from the support staff. Since the membership is free, they will give you upsells. A blueprint on how to create a passive affiliate website from A to Z.
Pathway to Passive Resources is an eBook you buy at Affilorama and read it online there. The eBook will teach you how to make an autopilot passive affiliate site. When I bought this book, my expectations were not high. For $37 I will receive an eBook with ok content, I thought. Maybe with lots of information that I already know and is on every blog or site about affiliate marketing. Now this information was not groundbreaking, but it was surprisingly good. This eBook was made to teach people how to be an affiliate marketer and secondary to make some extra money. Pathway to Passive Resources has 7 chapters. In chapter 1 you will read some backstory for this eBook and how to start your path to online income. How to find niches and products and how to choose the angel on how to write your content. You will also learn the basic regarding SEO. Chapter 2 will teach you all about reviews. Should you write a product review? Roundup reviews, vs reviews or is there some alternative methods to write product reviews? Chapter 2 will teach you this. To write reviews is excellent, but often you need to find problems in your niche and how to address them. Most people have problems, and they are seeking a solution to their problem. How do you see the problems people have in your niche? And how to write the article so your reader will buy your solution? This answer will you find in chapter 3. 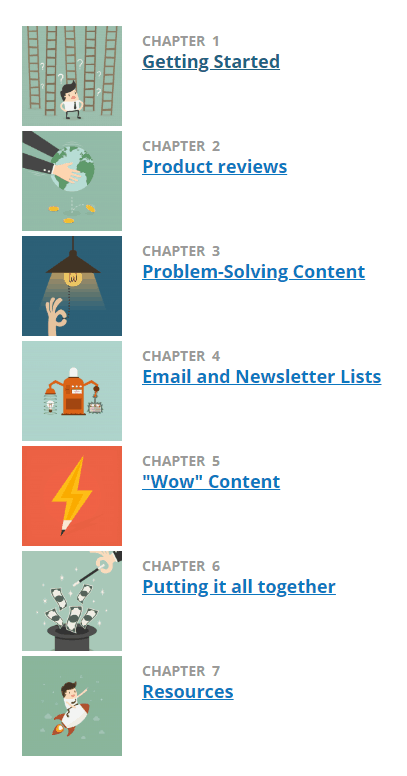 Chapter 4 is about email marketing. An email list is very important, and this is included in the pathway to passive resources. This chapter is a bit short, but you will receive access to download 3 free ebooks that is written by Mark Ling about the topic. To receive links, you often need to make great content. So in chapter 5, you will learn how to write your wow content. This is an essential chapter for your backlinks. You have now written reviews, made your problem-solving content, maybe your wow article also, but something is missing. Maybe there are several topics that you are missing and needs to be written about. Topics that perhaps is not something people are searching for? Maybe your site is looking a bit strange with lots of random articles, but nothing that ties everything together? In chapter 6 you will learn about window dressing content that solves the issues above and more. In chapter 6 you will also learn how to plan your site with action steps and to keep focus. What types of articles you should begin to write and what to do later for maximal efficiency. How to write your articles, so you move people through your funnel that's ends with an affiliate sale. And how to audit your site and previous sites that may need more work. The key here is to stay focused. In chapter 7 you learn how to build a website and more information about SEO. This chapter is short and is linking to other articles that will help you with this. Some of them are on moz.com and backlinko.com that is experts in SEO. Beginners will receive an impressive blueprint for building a passive profit website the right way. A birds-eye view of what it takes to create this website with tips and tricks that will make your site shine. More experienced affiliates will find an easy to understand system to improve their sales. The only complain I have is that you need to read it online. And like everything else, I always want more information for a lower price, but you receive a lot for $37. If you buy this eBook, you will receive a birds eye view on how to create a passive affiliate website. Pathway to Passive Resources is a step by step blueprint that ties everything together. Maybe you have read or watched videos about the topic without understanding the complete system? Then this eBook is especially for you. Lots of valuable tips and tricks that will help you make a passive affiliate site. A step by step blueprint that gives you the bird's eye overview. Easy to read and very good structured. You need to read it online. Affiliate Marketing Course with bonuses. 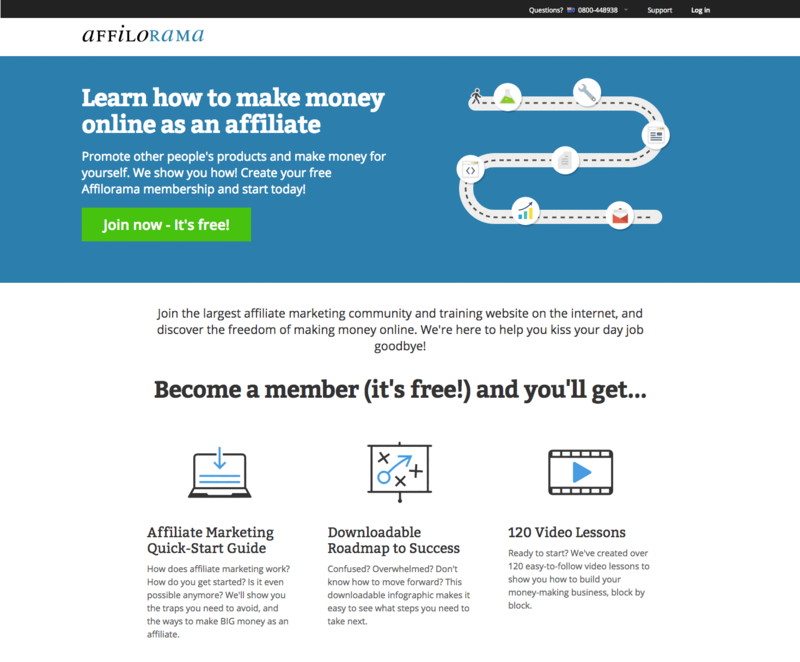 Affilo Blueprint teaches you how to start and build a website and how to do affiliate marketing. You will receive a premium WordPress theme and 1 year of free hosting. Affilo Blueprint 3.0 is their premium video course. As the name suggests, they have updated the course 2 times and is up to date. The course is a step by step video course with pdf files. After each lesson, you are given homework so you have clear instructions on how to move on to make the required progress. With this course, you are given 1 year free hosting and a free premium theme named AffiloTheme. The course gives you instruction on how to use their website builder that build your website fast. You also have training on how to install WordPress and use your AffiloTheme on Hostgator if you want to use another hosting. You are free to use the hosting you wish to, so Hostgator is there as an example. All you need to start your path to online income is to buy a domain name in addition to this course. The course is easy to understand and have a suitable structure. I really like the homework so you know what to do. You also receive a pdf file so you can easily find information if you need to go back and refresh some details. Bonus - Some bonus lessons. Everyone who joins this course will be given access to their AffiloBlueprint private forum. Here you can ask questions and receive answers from other members, coaches and support staff. You can also send in tickets to the support team that is very helpful. As most courses and info products out there, you will receive some bonuses. You can read more about them below. 1 month free access to AffiloTools. Here you receive a free trial to AffiloTools Silver for 1 month. This way you can test it out, and Affilorama hopes you will continue using it. If not you will be downgraded to the free version. You can read more about AffiloTools later in this review. You receive 1 year free hosting for one website. For beginners, this is very valuable. You start your course and build your website. If your site is not a success, you can leave it and choose not to pay any more. If your site is a success, you can choose to continue with the hosting or move to another hosting. I have some trouble finding the price if you want to continue. I have seen the price $47/year, but I'm not sure. If the amount is correct, this is a reasonable price for hosting. I will probably receive a price when my free hosting ends. This is their premium WordPress theme for you to use. You can read more about AffiloTheme later in this article. A beginner will receive the most value for their money, but also more advanced affiliate marketers can find this course useful. Beginners receive almost everything they need to start their affiliate marketing business. All you need to do is to buy a domain name. You will receive free hosting for 1 year and premium WordPress theme. You also receive their step by step training that has a suitable structure with all the information you need to gain success. Her you receive a rinse and repeat system that you can use to train your staff with. You also gain some advanced training in PPC. Affiloblueprint gives you advanced PPC training that can be very useful to grow your email list. The course is excellent and I like it, but the price could be a bit lower. They have added some extra to the course to bring more value so they can charge more for their course. Not everyone wants the extras they bring to the table. AffiloBlueprint is a step by step video with pdf course with 12 modules. After each lesson, you are given homework to keep you on track. You also receive free hosting for 1 year and their premium WordPress theme AffiloTheme. The course is good, and you receive all the training you need to make a successful affiliate website. Step by step video course with good instructions. 1 year free hosting and their premium WordPress theme named AffiloTheme. Access to Affilo Blueprint exclusive forum. The course is a bit pricey if you don't use all the bonuses. A membership to a collection of tools that is important for Affiliate Marketers. AffiloTools gives you all the tools you need on one dashboard at an affordable price. Easy and time-saving. You can do things like backlink research, keyword research and check your websites daily stats from one place. 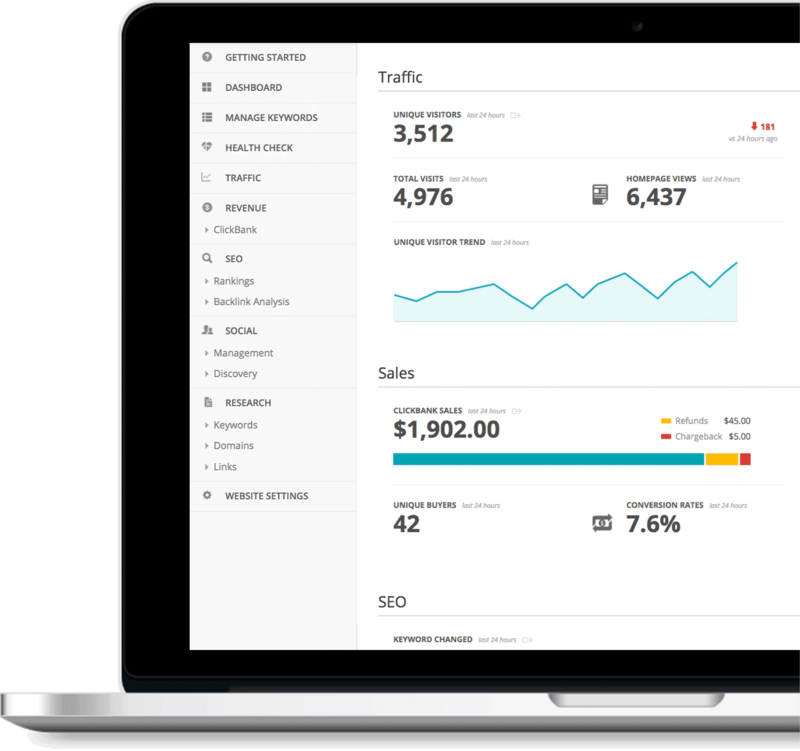 AffiloTool is an Affilorama product that has placed all the essential tools an affiliate marketer needs in one tool and one dashboard. This way you will save time since you don't need to go into all the different programs or sites to do your daily tasks. The cost is also way more affordable. Domains name research: Find new or related available domains. Keyword research tool: Find new or previously missed keywords for more opportunities. Website health checker: Monitor your domains and find on-page SEO errors, pages indexed, page errors and page speed. Backlink checker: Uncover your competitor's backlinks and find how you can improve your rank. PR link finding tool: Uncover new linking partners to connect with for future improvements. Social media tool: Monitor and update your Facebook and Twitter account from one place. Search engine ranking monitor: Receive the data Google and Bing have on your site and show it on your dashboard. Also works for local business. New and updated training from Mark Ling. Improve your website with the latest tricks and methods. PLR articles for you to use in different niches. All this because of AffiloTools pulls data from Google Analytics, bing, Namecheap, Enom, Clickbank, MOZ, SEM Rush, Facebook and Twitter. AffiloTools is for everyone! You will receive several tools for a much more affordable plan then if you buy each software for them self. Here you receive everything you need on one dashboard. You don't need to buy multiple software and log in to several websites to check or do research regarding your website. Most software is also not always so easy to use. AffiloTools is structured so it's easy to use and you find all the needed functions at one place. This makes AffiloTools very affordable for you and also timesaving. AffiloTools is in beta and have been it for years, I think it will still be in beta for several years. It would be nice if the tool were finished. The tool was working when I was testing it without visible bugs. With AffiloTools you have all the tools you need for your daily tasks at one place. No need to login to different places to do your work. All this at an affordable price. Most of your daily tasks at one place. You can do your research from AffiloTools. You can spy on your competitors. You receive a "bigger picture" of your website. AffiloTools is still in beta. If you buy AffiloJetpack, you can pick 5 out of 18 different niches Affilorama have made for you. You will receive content and 100+ emails you can put in your autoresponder. This is for the people with little time and wants to power level their business. You will also receive training on how to get the most of this content in addition to AffiloBlueprint. AffiloJetpack is for the people with little time and needs more help to start their online business. With this deal, you can choose 5 out of 18 niches you want to work with in the future. You also receive 1 year of autoresponder emails for you to send to your growing list. I know everything about creating content. Its hard to find the topics and to write well is even harder. I'm no expert on this, but I do my best. At the end its the value you will give your visitors. With affiloJetpack, you will receive a lot of content for you to create. I need to mention that I don't have purchased AffiloJetpack, but I have asked a lot of questions, so I know enough to write this review. I have also purchased similar training in the past, so I know how this works. 5 Done for you niches. 1 year of autoresponder emails. 20 cheat sheet for you to make unique content. One year of free hosting for all your 5 niches. Their premium WordPress theme AffiloTheme. Training in how to build your site. Training in how to promote your site. Access to a private AffiloJetpack forum. You are given everything you need to you can create a website in your chosen niche at once. You can try to rank your site for free traffic, or you can try to receive free traffic through blog posting, or social media. Or you can go for paid traffic with Google AdWords or Facebook. You send your visitors to a landing page where you give them free eBook, report or a course, so they can learn more about the topic that interests them. To receive this eBook, they have to provide you with their email. You can also put a popup on your posts if they enter your site on another page then the landing page. Now they are on your email list. You use an autoresponder to send them free content and offers. I guess some of the free content is your website where you can have advertising from Google Adsense. So you will earn money from Google Adsense, and with the affiliate links you are sending them. All this is automated and you only need to monitor your site. If you are using paid advertising, you also need to monitor and tweak your advertising. You will learn less when the niche is done for you. I have to admit it's much learning in struggling. When several marketers use the same content with only some adjustment, you can be penalized by Google. So there is some risk with duplicate content. If you want to gain traffic from SEO, you need to check if your content is duplicate. Plagiarism free content is good, but then it needs to be keyword optimized. If not, no one will find your site through google. I have myself made a site like that with a done for you niche. I paid someone on Fiverr to rewrite the articles to make it plagiarism free. Since the articles are not keyword optimized, I don't rank on google at all. So I need to rewrite a bit to make it rank. Since I have other more fun projects, this is not something I will later. I guess that the money spent on Fiverr was wasted. This was outdated done for you content, and the affiliate offers was a bit old. I need to change them with newer offers that convert before I do more promoting. So remember always to validate and monitor that your offer converts. Do you have a dream of becoming an affiliate marketer or entrepreneur? And you don't have the time to do it all by yourself and need help? Maybe you writing is not as good you want it to be? Its hard to do research and write articles, I know all about how hard it is. And how do you write an email series that makes people open and click on your affiliate links? If I now described you, this course is for you. You will receive 5 done for you niches with a 1-year long email series. You will also receive training to make the most of the niches you receive. All you need is to get traffic to your websites that will be hosted for free the first year. An email autoresponder series for you to use. Save money if you plan to outsource the content and email writing. There is a lot of learning in doing the hard work. Done for you give you less learning. This is a premium WordPress theme made by affiliate marketer for affiliate marketers. With extra tools you need and made for SEO. AffiloTheme is a premium WordPress theme you can buy from Affilorama or is given as bonus if you buy Affiloblueprint or AffiloJetPack. With AffiloTheme, you receive 6 child themes for you to use. This means you are given 6 different themes from Affilorama. Affilotheme is made by affiliate marketer to affiliate marketers. Squeeze page and opt-in form creator tool with 4 different form options. Popover and exit pop functionality built in. Powerful affiliate link redirect and cloaking tool to boost conversions. Built-in tools make it easy to update the design and change colors, fonts and graphics. 1 year free hosting for up to 1 site. You receive tools for link redirect, so you don't need to use ugly affiliate links or install extra plugins that make your site slower. You receive squeeze page and opt-in form creator so you can make beautiful landing pages and collect emails. You can also collect emails by popup or exit pop. To collect emails is essential since you can be banned from Facebook or Google, but no one can remove your email list. Since this premium WordPress theme is made for affiliate marketers, its optimized for SEO. If you do your on-page SEO correct, Google will love your site. A premium theme with lots of specialized tools can be confusing. The theme is intuitively made, and you also receive full training in how to use the theme and how to build your site with WordPress. Want a beautiful header on your page? With AffiloTheme, you also receive a header creator tool so you can make custom headers that make your website stand out. Beginners will love this theme since you receive everything you need out of the box. Easy to use and with training. If you are an intermediate marketer, you will receive a theme that is optimized for profits and with unlimited website uses. So you also will save money! Are you an advanced affiliate marketer? Then this theme will help you speed up website creation. AffiloTheme let you quickly jump to a new money-making website when the previous is made. Some say that AffiloTheme is not mobile responsive and that is sort of correct. AffiloTheme detects if the visitor is on mobile and will show them a particular view for mobile. Some plugins will just alter your size of the browser to check how your site will be showing for a visitor. This will not work correctly since you need a mobile to test how your site will look on mobile. AffiloTheme gives you 6 child themes to choose from with a lot of useful tools for Affiliate Marketers. With link redirects, pop-ups and squeeze page creator you have all you need for an affiliate website. AffiliateTheme is made by an affiliate marketer for Affiliate Marketers. Squeeze page and optin creator so you can make beautiful pages and forms. You can customize your regular or exit popup. Unlimited licenses so you save money. 1 year with free hosting, so you save money. This is not their primary product. Are they so fast to update their theme as the providers that have WordPress theme as their primary product? Don't know. What I recommend is to join Affilorama for free and watch the videos. You have nothing to lose. Do you like what you see? Do you learn something and trust Mark Ling's website and information? Then invest some more in it and buy Pathway to passive Resources. The eBook is excellent and recommended to buy. The price is not high, and you get a lot of value for your money. After you have read the eBook, you need to decide if want more training. Pathway to passive resources gives you the big overview, but not the details. So if you want to know more before you begin, I recommend you buy AffiloBlueprint. You receive free hosting and 1 month trial for AffiloTools. Watch the training, and this is also an excellent opportunity to test out AffiloTools. Do you like it? Buy it! If you don't like it, find other tools. Remember you need some tools to find keywords and check backlinks. To know your ranking is also nice and should be monitored. Do you have little time and struggle with writing content? To research and write articles can be tedious, I know everything about that. Even niches that interest me can be tedious some time to write about. Then you need to decide if AffiloJetpack is something for you. You receive 5 done for you niches and training. This is a time saver that will get you ready for earning commission fast. Regarding AffiloTheme, I don't recommend to buy it alone. You receive it when you buy AffiloBlueprint or AffiloJetpack. If you just want a theme, there is several out there. Don't get me wrong, AffiloTheme is good, but don't buy it alone when you can receive proper training also for 100 dollars more. Affilorama is a great membership site that I highly recommend. You can join for free and check out what they have to offer. If the free content is enough for you, then it's great. If you want the more advanced training and tools, you have the time to decide that later.